When I first started eating clean, banana bread was one of the first recipes I re-invented to make it follow my food guidelines. It was a huge success - my kids LOVED it. I LOVED it. We enjoyed many loaves of my Paleo Dark Chocolate Banana Bread. Fast forward a year. We can no longer eat my Paleo Dark Chocolate Banana Bread. Sniff Sniff. I've been on and off (mostly on) the Candida diet for most of the past 9 months which precluded me from eating most fruits and sugar. I also found out in the Spring that I have a very strong food sensitivity to banana's. That was hard news to hear. Cruel really. Around that same time we also found out that my daughter has a strong food sensitivity to eggs. Shoot. So I had to come up with a new banana bread recipe. 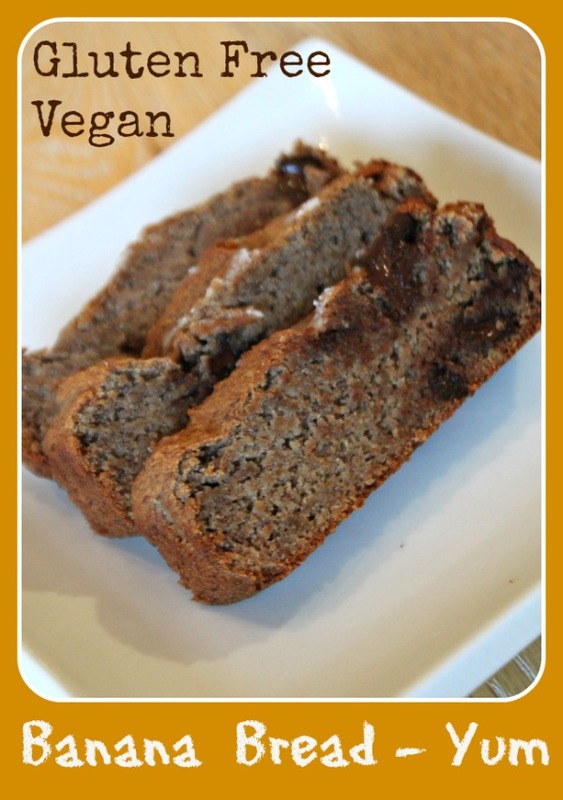 Well, once I got over mourning the fact that I would never be eating banana bread again. Ever. I have made this recipe numerous times now. I just whipped up a double batch to get us through breakfast and snacks for the rest of the week. It looks and smells delicious. It is egg, gluten and dairy free. And also low in sugar. And my kids love it. So even though I resent the fact that I can't eat this I am passing along the recipe. Because I believe kids should EAT CLEAN. And what kids doesn't love a chocolate chip banana bread. Enjoy! Preheat oven to 325 degrees. Grease a loaf pan and then line with parchment paper (optional). Combine ground chia with warmed almond milk. Let stand for 5 minutes to let Chia gel. Put in greased loaf pan and bake for 50 to 60 minutes until center is fully cooked. Let cool COMPLETELY before removing from parchment paper and slicing or it will stick. Let your kids enjoy a low-sugar snack full of clean and healthy ingredients.